This year is all about trying out new lipsticks and colours for me as I haven’t really bothered with lipstick very much in the past. However, my lips can be dry and flaky and as this isn’t a good look with some shades and finishes I decided to invest in a lip scrub. At first I couldn’t decide which of Lush’s scrub to go for (with the other options being Bubblegum and Mint Julips) but after a bit of tub sniffing I decided on trying out popcorn. This is limited edition so I don’t know how long this will be around for. It comes in a small pot which is about the same size as a large lip balm, so this is a good size for travelling or dropping in your bag. 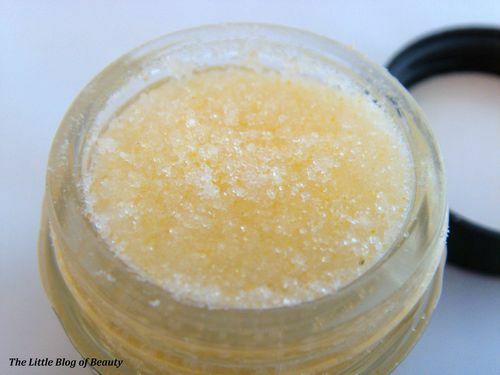 All you need to do is get a small amount of scrub on your finger and rub it over your lips. One of the best things about this is that it’s edible, so you don’t have to worry about washing or wiping it off, you just lick it off! When you do you get a lovely sugary sweet taste which is sometimes followed by a slight salty after taste. After licking this off you may have to brush a few last grains off but your lips are then ready for lip balm or lipstick. 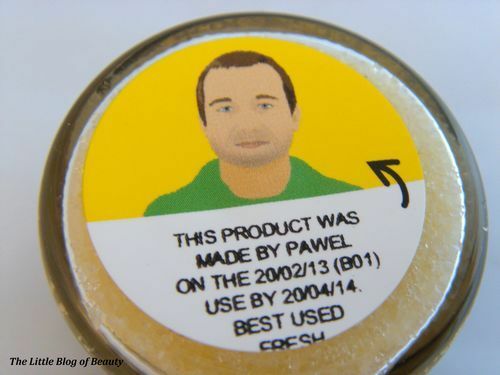 This contains just a few natural ingredients which includes sugar, salt and a couple of oils. I have to admit I was slightly taken aback when I miss read Polenta as Placenta! This is slightly pricey at £5.25 a pot but you only have to use a tiny amount and as the pot contains 25g it will last for ages. I bought this a couple of weeks ago and it has a use by date of just over a year so if you do like to stick to these dates you don’t need to worry that it might expire before you get to use very much. This is a lovely little product which helps keep your lips flake free and is great if you have a bit of a sweet tooth. 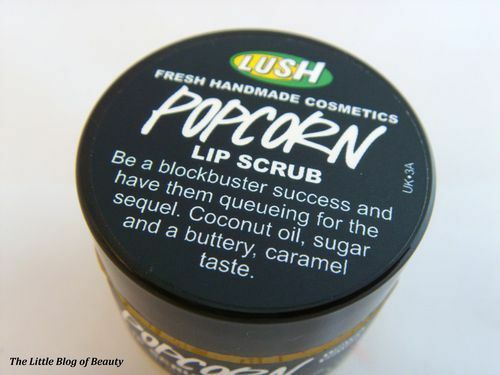 Lush’s lip scrubs are available from Lush stores and online through the Lush website.